We are delighted to invite you to join us for the very first time at Jack's Piano Bar for a memorable evening! Located between Atheneum and Piata Amzei, Jack's is an intimate and probably the best piano bar with live music in Bucharest. Good vibe, perfect cocktails, a great pianist with a band will make our night amazing. The event will start at 21:00 with some general networking and chatting with our friends. Later at 23:00 the band will start playing and we'll go wild on the dancing floor! 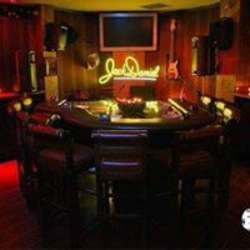 It will be our first event at Jack's and we are sure that would be an unforgettable experience! Don't miss it! As usual, everyone will receive a free welcome drink (choice of beer, a glass of wine, nonalcoholic cocktail or soft drink) and we will offer some appetizers. Until 22:30 the venue will be basically for us, as other people usually start coming at 23:00. Please don’t forget to register for this event by clicking the Accept Invitation button. We shall close the attendees' list at 19:00 on the event's day. Invite your friends to join. Jack's Piano Bar is on George Enescu street no 10.